but we rather have those because we have acted rightly. We are what we repeatedly do. Portfolio Manager of the Cygnus Utilities, Infrastructure and Renewables strategy. Founding Partner, CIO & Member of the Board of Directors. Juan is the Portfolio Manager of the Cygnus Utilities, Infrastructure and Renewables strategy. He has ample experience in the management of proprietary portfolios of financial institutions, as well as in hedge fund management, specializing in the utilities, infrastructure and renewables sector. Between 2000 and 2005, Juan was one of the founding partners of BBVA & Partners, a Madrid based hedge fund, where he was responsible for investments in the utilities sector, among other things. Juan has been involved in long/short equity and proprietary trading for more than 20 years. Prior to BBVA & Partners, he worked in Argentaria, now BBVA (1994-1999), and Santander (1999-2000), two of the largest financial institutions in Spain. Juan holds a B.Sc. in Economics from CUNEF, Madrid. Luis has over 20 years of experience covering the sector. Prior to joining Cygnus, Luis was the Pan-European utilities analyst at Tisbury Capital, a London based hedge fund and a senior analyst at UBS Pan-European Utilities team. He also worked at Anderson Consulting and McKinsey. Luis holds a M.B.A from Columbia University, New York, and B.A. in Computer Science from St. Louis University, Missouri. Alejandro joined Cygnus in March 2008 with 11 years of experience covering the utilities and energy sectors. Before Cygnus, Alejandro was a Sell-side analyst at Citi for 3 years (2005-2008) covering Iberian utilities and the renewables sector. He also had previous Sell-side analyst positions at Santander, CajaMadrid and Bestinver. Alejandro holds a B.Sc. in Economics from CUNEF (1995), Madrid, Spain. Blanca is responsible for investor relations and new products. From 2000 to 2006, she was Director of the Key Clients team at UBS Spain, handling large client portfolios: Family Offices, Private and Institutional investors. Between 1998 and 2000 Blanca worked at BNP Paribas in fixed income origination and later in structured products for the private banking division. Blanca began her professional career in 1993 in AB Asesores in the securitization and fixed income departments. Towards the end of her tenure there she worked in asset management, focusing on marketing activities related to domestic institutional investors. Blanca holds a BSc in Business from ICADE (E-2). Anne-Laure has been responsible for international investor relations since 2014. From 2007 to 2013 she was a commodity markets strategist at BNP Paribas in London During 2006 and 2007, also at BNP Paribas, she was part of the equity derivatives marketing team. 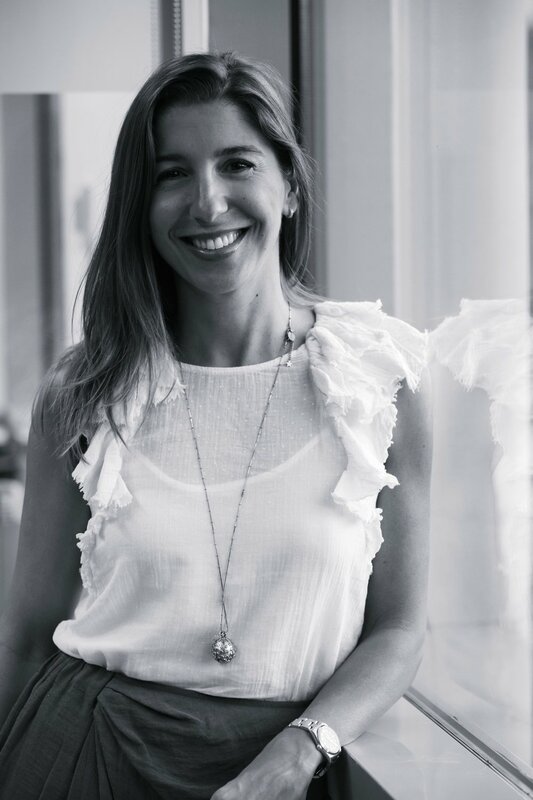 Anne-Laure holds an MBA from IE Business School Madrid (2014), a Master in Finance from Sciences Po Paris (2006) and a BA in Social and Political Sciences from the University of Cambridge (2004). She is also a Certified Technical Analyst. Before founding Cygnus in 2006, José María worked during 14 years for UBS. Originally an investment banker based in London, he was involved in M&A deals; IPO’s; and equity derivatives structures while in Corporate Finance. After seven years he moved to the Wealth Management Division to create a Corporate Finance capacity and later the Key Clients Group for large private clients in Spain. José María began his professional career in 1986 working for the consulting division of Arthur Andersen (now Accenture), gaining experience on information systems and strategic management consulting. Later in 1988 he worked for Advent España SA, a venture capital firm part of the Advent International network, where he participate in fund raising, deal flow generation, financial analysis and due diligence. He is also founding partner and president of Kibo Ventures Partners SGEIC, SA. He has a Law Degree by Universidad Complutense and a MBA from ESADE, Barcelona. He also holds a CAIA designation. Isabel has extensive experience in both the management and investments of operating companies as well as HF and PE. Prior to co-founding Cygnus Isabel worked as Vice President of Khronos LLC, an investment advisor in New York, evaluating investment opportunities. Before that, she spent three years in the Strategic Projects division of CARHCO, a Retail Holding Company in Central America (now Wal-Mart of Central America). She began her career within the Emerging Markets-Fixed Income Division at Banco Santander de Negocios (1991-1995), where her responsibilities included sales, trading (primary and secondary markets), and syndication. Isabel received an MBA from INSEAD in Fontainebleau, France and a B.Sc. in Economics from the Wharton School, University of Pennsylvania. She has been Certified by the International Securities Market Association (ISMA) in Zurich. Juan is responsible for Investments. He has ample experience in the management of proprietary portfolios of financial institutions, as well as in hedge fund management, specializing in the utilities, infrastructure and renewables sector. Between 2000 and 2005, Juan was one of the founding partners of BBVA & Partners, a Madrid based hedge fund, where he was responsible for investments in the utilities sector, among other things. Juan has been involved in long/short equity and/or proprietary trading for more than 20 years, being associated with Argentaria (a company that merged into BBVA in 2000) from 1994 through 1999 and with Santander from 1999 through 2000, two of the largest financial institutions of Spain. Juan holds a B.Sc. in Economics from CUNEF, Madrid. Antonio has over 20 years of extensive experience in commercial, real estate and construction law, acting also as an independent member of the board of directors of several firms in Spain and in the United States. Since 2009 until now, Antonio is Partner at Marant Abogados y Asesores Tributarios SLP (Madrid). Between 1995 and 2009, he was Partner at DLA Lap Abogados (Madrid), from 1993 through 1995 he worked as a Lawyer at Ruíz Galardón y Muñiz Abogados (Madrid) and from 1990 to 1993 at Davies Arnold Cooper (London). Antonio holds a Law Degree from CEU San Pablo, Universidad Complutense de Madrid.